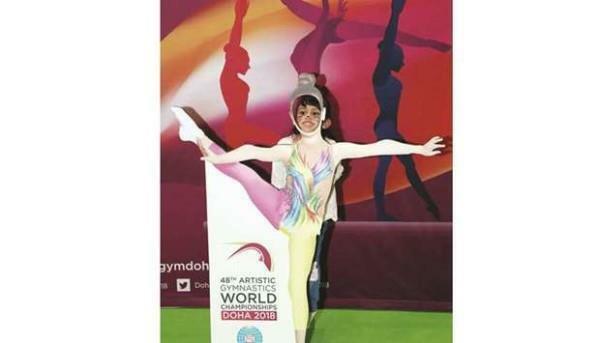 (MENAFN - Gulf Times) Families and children were invited to the Summer Entertainment City at Doha Exhibition and Convention Centre on August 28-29 to experience first-hand an atmosphere of artistic gymnastics. The event was held in support of the upcoming 2018 World Artistic Gymnastics Championship in Doha, which will be the 48th edition of the event. At the SEC, booths were set up where children had the opportunity to have their faces painted, take photographs and try gymnastics tricks with the support of coaches from the Qatars Gymnastics Federation. Parents and their children enjoyed the energy and excitement at the event. Commenting on his experience, a father of a four-year-old girl said: 'It was a fun evening and my daughter enjoyed the activities a lot. I encourage everyone to give their children the opportunity to try gymnastics as it builds their bodies and improves their flexibility. A six-year-old participant who tried out the gymnastics apparatus with the help of the coaches said: 'I like to try new things and the most exciting move was the somersault. I like to watch the gymnastics girls on television and that is why I came as I wanted to try. Qatar Gymnastics Federation president Ali Ahmed al-Hitmi said: 'Qatar remains committed to developing the sport of gymnastics at the grassroots level. Gymnastics helps build and improve flexibility, co-ordination, balance and help children of all ages build a range of motor and co-ordination skill. 'We are very excited to host the upcoming 2018 World Artistic Gymnastics Championship in October and proud that it is going to be the first ever in the Middle East. We look forward to welcoming Olympians and world champions to Doha as they aim to qualify for Tokyo 2020. More than 700 female and male gymnasts from 80 countries from around the world have registered to compete at the 2018 Worlds, which is the largest number of countries that ever participated in this event since it has started. Three Team Qatar gymnasts will also be competing against world-class gymnasts. The championship will serve as the first qualification event for the 2020 Olympic Games in Tokyo. The competition will be held between October 25 and November 3 at Aspire Academy Dome in Doha. Tickets can be found at https://bit.ly/2Nqcw9L.